I hope you all had a good start of the week. Today is a day of new beginnings for some people very dear to me and I wish them all the best with all my heart. So I will start a new feature in this blog too. The Greek files. Through this feature I will present to you nail polishes that are available in Greece and I haven't seen a lot in other blogs. They might be Greek brands or other brands that I have discovered while browsing various stores around here. So for the first instalment I will present to you a couple of lilacs (Adamo 86 and Erre Due 228) and compare them to other brands to see the difference. These are the polishes I am going to compare. 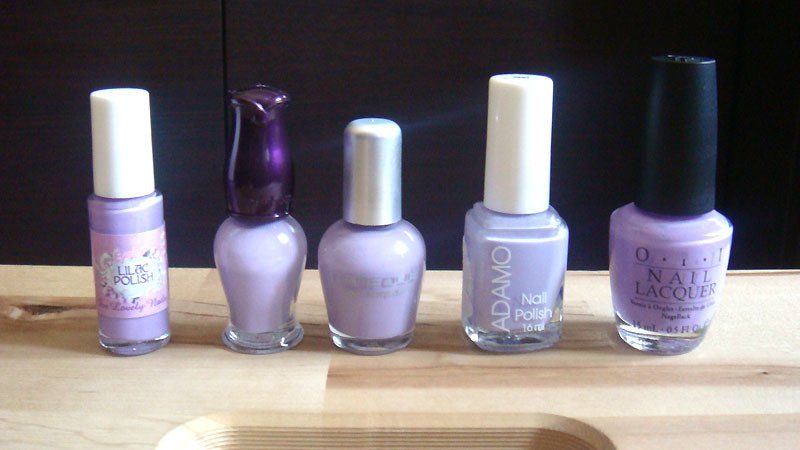 From left to right we have Eyeko lilac, Etude House PP901, Erre Due 228, Adamo 86 and OPI Do you Lilac It? As my hand is still injured I used a nail wheel for the comparison. All the polishes are two coats without top coat under natural light and are applied in the same order as the bottles. The colours look very similar in the bottles but they are completely different when applied on the nail wheel. Eyeko, Etude House and Erre Due look quite similar, Adamo is more to the grey side while OPI is the more intense one. 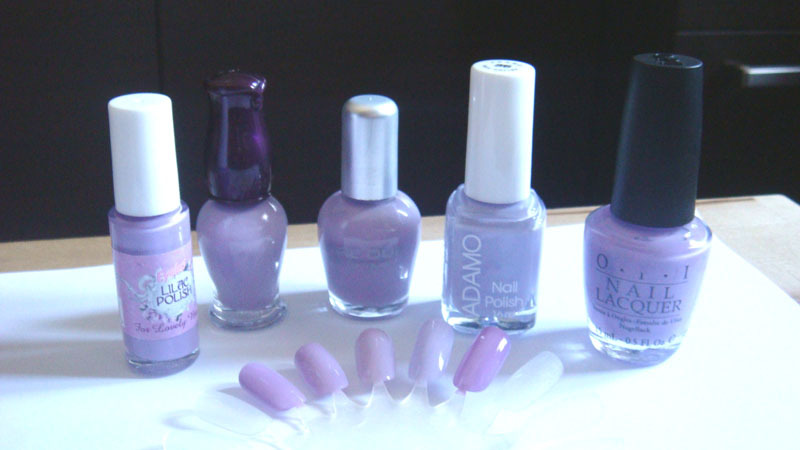 Lilac loves Greece...I saw some Seventeen polish the other day...looked goooorgeous! Wow...and I thought they were dupes. Thanks for the comparison and hope your hand heals soon! @Katrina ^_^ this is why I started with lilac, as I have so many in my collection. @AnnKiins thank you :) I totally will. @Toesthattwinkle Do you Lilac It is a fab colour indeed! @Kayleigh thank you, it is slowly getting better ^_^ yep in the bottles the colours look almost the same. This is great! I like them all, though the Adamo is my favorite; it looks so pretty and delicate.